The Pilots Nest - A place to enjoy some "Joe!" Visual illusions, coriolis effect, safety in flight, weather, pilot training, FAA, CAP,Landings, takeoffs, instrument flying, human physiology, medical issues, hanger talk. Hypoxia is directly related to blood saturation levels and factors that affect that saturation level. The chemical composition of oxygen in the air, whether at sea level or in the stratosphere, is approximately 21%. What changes is the partial pressure that oxygen exerts at different altitudes above sea level. This pressure is measured in different ways but for us we will use millimeters of mercury as our standard. The symbol for mercury is Hg. Since oxygen is a molecule and has mass that is affected by gravity it exerts a pressure on whatever it strikes against. Thats right, these little oxygen molecules are constantly moving and they exert a force per unit area on what they strike. That force is pressure. At sea level the atmosphere consists of nitrogen, oxygen, carbon dioxide and trace gases plus water vapor. Each of these gases exerts a partial pressure unique to their chemical composition. The total pressure of one atmosphere at the surface of the earth is 760 mm of Hg pressure. If you have a calculator take 21% (Oxygen’s composition in the atmosphere ) of the total pressure exerted by one atmosphere which is 760 mm Hg. Your answer should be close to 159.6 mm Hg partial pressure of oxygen. This partial pressure force of159.60 mm of oxygen is what pushes the oxygen into our lungs when we inhale a breath. The partial pressure of oxygen will decrease as you climb. This, in turn, affects the blood saturation level of the oxygen in the blood. When the blood saturation level reaches a value where the cells of the brain can’t function properly that is called Hypoxia. The oxygen carrier cell in humans is the red blood cell found in our circulatory system. It is called an erythrocyte. Now the fun begins. The oxygen molecule passes through tissues to reach the erythrocyte. In the lungs (pulmonary lungs) it passes through a very thin membrane shaped like a little balloon called an alveolus. The alveolus, in turn, is surrounded by very small blood vessels called capillaries. The oxygen molecule passes into the capillary through its thin covering capillary membrane. The capillary carries a combination of fluid called plasma that contains a lot of things besides the erythrocytes. It is the erythrocyte that we are interested in. Yes, the erythrocyte is surrounded by a plasma membrane. The erythrocyte contains a very large complex molecule called hemoglobin. there is a chemical site on the hemoglobin that is specific for the oxygen molecule. The oxygen chemically attaches and stays there until it is delivered to the brain, as one of the very important high energy tissues that need lots of oxygen to function well. Once there the process described above is reversed. The oxygen molecule is released and travels through several membranes and fluid compartments to reach the brain cell called a neuron. There, the oxygen is used in a chemical process called respiration that ultimately provides the energy to make a neuron work. You can see, after looking at the pathway just described, an oxygen molecules path can be slowed or prevented by obstacles along the way. Any of these obstacles could increase your chances of developing hypoxia. Obviously, the partial pressure of oxygen decreases as it passes through the membranes on its journey. The normal result of this journey is saturating the blood erythrocytes so the overall saturation percentage is 96% or above. Neural control of night and peripheral vision. Forgetfulness of common procedures you ordinarily do. You become euphoric when real danger exists. Finger nails turn bluish from hypoxia. Ability to perform common feats like writing begin to deteriorate. Your instructor will have other clues to pass on to you to discover you are hypoxic. What can go wrong that results in Hypoxia? First, and most obvious, is flying at an altitude where the partial pressure of oxygen is significantly less than 159.60 mm of Hg. Fourth, the incoming air into your lungs may not contain its normal composition of 21% because it has been replaced or decreased by gaseous pollution. Sixth, your circulatory system may suffer from cardiac disease affecting the heart pump and the delivery system of blood vessels. Seventh, the hemoglobin molecule itself may be unable to attach oxygen for transportation to the body cells. Eighth, Your own breathing rate may be insufficient to allow proper ventilation of the lungs with adequate oxygen. Ninth, Smoking, will increase your exposure to develop hypoxia by causing Carbon Monoxide poisoning of the hemoglobin in your blood cells. This is just a partial list of problems that may result in hypoxia. What can you do to prevent Hypoxia? Make sure your aircraft is supplied with properly working and tested oxygen equipment for the maximum altitude you will fly. Have an annual physical performed by an FAA Certified physician. Recognize your symptoms that indicate you are hypoxic. In conclusion, safety in flying is paramount and hypoxia will defeat your efforts at safe flying. The point at which the entire weight of an airplane would balance perfectly. The center of gravity affects the stability of the plane and, for safe flight, the plane must remain within specified limits established by aircraft manufacturers while in flight. When the weight of a plane is at or below the allowable limits for its type and configuration and its center of gravity is within the allowable range and both will remain so or the duration of the flight, the plane is said to be within weight and balance. The configuration refers to whether the plane is parked, moving on the ground, take-off, landing for example. Fuel burned may affect the center of gravity. 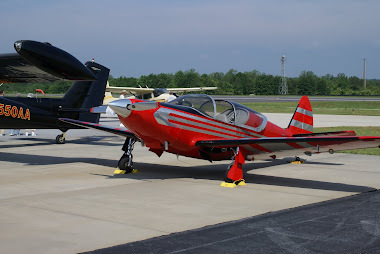 In a Beechcraft Bonanza, the center-of-gravity may move toward the rear of the plane as fuel is used since the fuel tanks slope downward from fore to aft in the wings. Depending on other load considerations you have to make sure your center-of-gravity stays within the allowable range for the entire flight. Since safety is the theme it does matter when weight and balance are incorrect in fixed wing aircraft. Placing the center of gravity of a plane outside the allowed range can lead to a unavoidable crash. If the plane is outside of its acceptable fore-aft axis the plane may pitch uncontrollably down or up. This excessive pitch change could occur in all phases of flight or certain phases where it doesn't occur on takeoff but could move outside of its fore-aft axis before you land. Calculations of center of gravity must take those possibilities into account. One example is the rear-most baggage compartment of the Beech Craft V-Tail Bonanza. It is placarded for 275 pounds. If you carry three adult passengers and your-self the fore-aft center of gravity may be close to the aft limit of the envelope. If your flying to reach a vacation spot you may pile golfing equipment into that placarded 275 pound baggage compartment. That was a fatal mistake. On take-off the plane would nose up with severe control problems. If you were successful in combating control of your aircraft during takeoff the control of the plane in flight would become worse as fuel moves the center of gravity further aft. This is a big killer of pilots that are not careful about weight and balance. If the weight of the aircraft is out of range (heavier than the maximum weight) the plane may not achieve or sustain controlled, level flight. Excessive take-off weight may make it impossible to take off within available runway lengths, or it may completely prevent take-off. If you do manage to take-off, without incident, it may slow your rate of climb and/or make climbing beyond a certain altitude difficult or impossible. Refer to prior article dealing with Mountain Flying for the dangers with an under-powered plane and/or over gross aircraft in mountainous territory. What Notion is about as Healthy as that a Rattlesnake makes a Pleasant Pet? How about the idea that the purpose of the rudder is to steer the airplane around the corner? No way. The rudder gives the pilot the means to combat the adverse yaw effect of the ailerons. This is what a coordinated turn is all about. That is why we use rudder on going into a turn and why we use rudder when coming out of a turn. If the ailerons had no adverse yaw a plane wouldn't need a rudder. It would be great if a student pilot had a early and clear concept of what an airplane had a rudder for. Think of all the skidding and slipping it would eliminate. Think of the fatalities it would save. Remember your steep turn training. It was easy to enter with slight rudder involvement. Recovering was another thing. Banking out of fast, low angle of attack flight into a steep turn there is not much adverse aileron yaw and the need for rudder is less. Unbanking out of slow, high angle of attack flight, there is much adverse aileron yaw and much need for rudder. Your correct response will prevent a "broken neck" so to speak. There is only one way to get out of a steep turn quickly and safely. This is especially important if the recovery from the steep turn has begun to sour. First, to reduce the angle of attack, let the stick or wheel come forward to unstall the wings and giving the ailerons less adverse yaw. This enables the wing to lift itself. Second, now apply a lot of top rudder (left rudder in a right turn and vice-versa). Third, begin to apply high aileron to roll the airplane out of the steep bank. Lesson today, "Stick Forward" to reduce angle of attack. The left turning tendency occurs when the propeller pushes back a stream of air mass which spirals as it streams to the rear. With its spiraling motion the air mass hits the vertical fin at a slight angle. This pushes the tail to the right and yaws the nose to the left. Heres where the fun begins. The propeller hits a small particle of air mass at the right -hand side of the planes nose. The impact of the propeller sends it backwards and downward along the right side of the fuselage where it crosses underneath the pilots seat to the left side of the fuselage where it flows upward (cork-screw) and backward along the left side of the tail. It is then ready to cross over the top of the tail back to the right side; but, it finds its path blocked by the tail fin. The air mass particle impacts the fin with a force and shoves the tail fin to the right. At the same time, in the beginning, another air mass particle is caught by the propeller on the left side of the planes nose. The impact sends the air mass particle speeding backward along the left side of the fuselage and slightly upward. It crosses over the top of the cockpit and flows downward and backward along the right side of the tail. It is then ready to cross underneath the tail back to the left side. But, it runs into a problem. There is no tail fin to block the air mass particle. It exerts no force on anything and flows away behind the plane. The net result of these two circulating air mass particles is a resultant shove of the tail fin to the right and a yaw of the plane to the left. In aircraft design the tail fin is set at a slight angle so to line it up with the actual line of direction of the air flow at the tail in cruising, level flight. The true reason for off setting the tail fin is not to make a force but, rather, to keep a force from being made. In slower flight, as the tightness of the spiral of the air mass particle increases, the sideways shove of force on the tail fin increases. If the design angle offset is not sufficient, the left turning tendency continues and you must hold right rudder. In gliding flight this tendency doesn't appear because the propeller is not creating a slipstream. The offset built into the tail fin is not necessary and, in fact, yaws the nose of the aircraft to the right. The pilot, in a glide, now holds slight left rudder. You could abolish the left turning tendency by putting as much tail fin underneath the tail as there is atop the tail. The problem is the tail fin underneath would interfere with the conventional landing gear of a tail dragger. New plane design, with tricycle landing gear, have allowed the tail fin arrangement mentioned above to appear in modern planes. The H-tail is here and slanted engines have eliminated left turn tendencies that plagued older aircraft. What is your plane stability after you trim for a particular speed? A plane, with perfect stability, will maintain that speed whether the power if off or the power is increased. Right? Try this in actual flight at cruising speed in straight and level flight and you will discover what actually happens when you change the power setting. Cut the power and the typical plane will descend in a glide at a speed well above your cruising speed. The glide will steepen into a dive. Push the throttle wide open and the plane will settle on a different, slower speed as it climbs. Just why does a plane speed up when you close the throttle and slow down when you open up the throttle? Seems contradictory to most pilots. Plane design and propeller blast is one reason. The tail surfaces ride in a place, on a plane, where the propeller blast hits them. In cruise mode, at a specific speed, the tail surfaces receive an extra wind in power on flight causing an extra down force on the tail surfaces. With power off that wind and extra force disappear. In designing a plane there is something called a thrust-line location involved in a planes development. It concerns the location of the propeller in relation to the rest of the airplanes design. Consider a Cessna, with a high wing, with its engine mounted low to provide good vision for a pilot. This design arrangement will cause a nosing up tendency when the pull of the propeller coupled with the backward pull of the high wings drag with power on. This effect disappears when the power is off. A change in relative wind created by the wings at cruise speed with the power on and how it changes with power off. Remember that the tail surfaces reside in the downwash created by the surfaces of the wing while in flight. With power on, the propeller blast hits certain parts of the wing. These parts work in an extra sharp relative wind that sends an extra sharp downwash to the tail surfaces. This produces an extra down force on the tail surfaces. When the power is off this effect disappears too. The effect becomes more pronounced the heavier and more powerful the plane. To a pilot the effect is important because under some conditions an airplane may want to stall it self. From a safety point of view this may occur during a go-around as you attempt to land when a plane attempting to take off the runway suddenly appears in front of your plane. If your plane, that cruises at 100 mph in straight and level flight, stalls at 45 mph and your approach speed is 70 mph after trimming properly you could stall the aircraft in a go-around. You open the throttle wide to climb away and re-enter the airport flight pattern. If you don't simultaneously re-trim or apply strong forward pressure on the stick the plane wants to climb like mad. It will climb into a power stall because you think the plane will climb at 70 mph. (no change in airspeed). Instead, the plane will want to fly at 45 mph or less to quickly gain altitude. You must respond by applying strong forward pressure on the stick and/or re-trimming to lower the nose of your plane to a safe climbing attitude and the speed up to a safe 70 mph. Each plane, in review, has a built in tendency to keep its own angle of attack constant and to keep its speed constant regardless of how the the amount of power delivered by the plane may change. This is basic. This basic tendency is overcome by the effects of power on and off discussed. You, the pilot must be aware of these contrary tendencies and act accordingly. Sleepy and Drunk Drivers (Aviation)? Lose your Checklist? Look Here! White Pages and Much More? Fly Ins - "Dawn Patrols"